In accordance with its 2017 Annual Work Plan and within the framework of Statistical Capacity Building (StatCaB) Programme, SESRIC organised the Training Course on ‘Health Statistics’ at the National Statistical Office (ONS) of Islamic Republic of Mauritania on 18-20 July 2017. The Training Course was conducted by Ms. Dorra DHRAIEF, Senior Director at National Institute of Statistics (INS) of Republic of Tunisia, with the participation of 16 officials of the ONS of Mauritania. As defined in the Classification of Statistical Activities (CSA Rev. 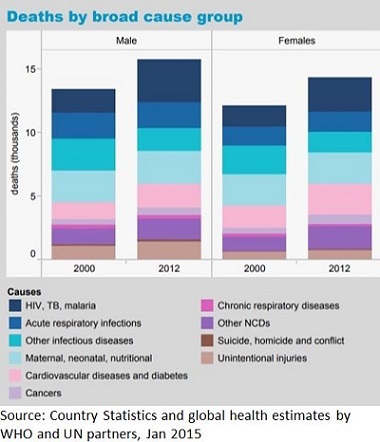 1 - October 2009; http://goo.gl/olg3Tz); Health – covers the health and mortality related statistical activities, including topics like life expectancy, health status, health and safety, health determinants (including lifestyle, nutrition, smoking, alcohol abuse), health resources and expenditure, health care systems, morbidity and mortality (including infant and child mortality), hospital admission, causes of illness and death, specific diseases (e.g. AIDS),disabilities, pharmaceutical consumption and sales, health personnel, remuneration of health professions, environmental health status, health inequality, health accounts.